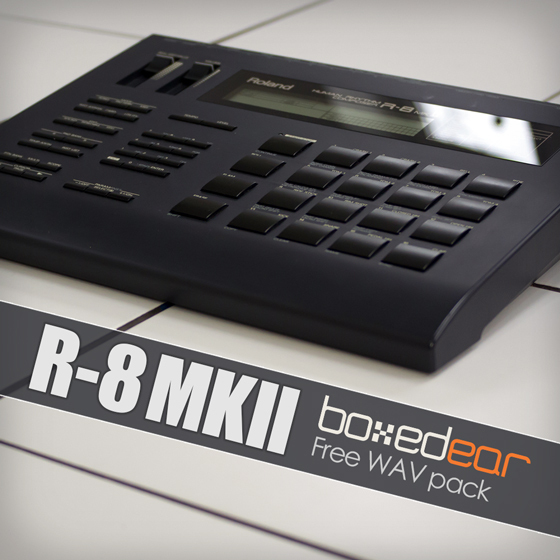 The Roland R-8 MkII is a 90s classic. It is still much revered today for its clean, deep sound. The original R-8 focussed on acoustic sounds, but the popularity of the SN-R8-04 Electronic and SN-R8-10 Dance sound cards, which contained TR-808, TR-909 and CR-78 samples, prompted Roland to release the MkII which had most of those sounds already built in. Whilst the sounds don’t sound exactly like a real 909/808/78, they do have a power and usability all of their own. This isn’t an exhaustive sampling of the R-8, but instead we chose to focus on the electronic sounds that made this drum machine popular with artists such as Aphex Twin and Autechre. And to add a bit more charm, we sampled it though our favourite UA 1176 compressor. Two classic drum machines, both designed by "the father of the drum machine" Roger Linn. 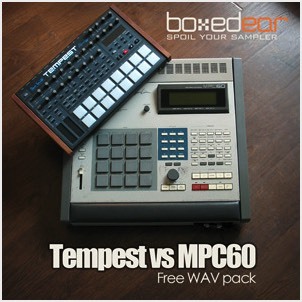 The MPC60 is a sampler first released in 1988 and is considered one of the major contributors to the development of hip hop music. The Tempest is a modern analogue/digital hybrid drum machine released in 2011 in partnership with Dave Smith Instruments. 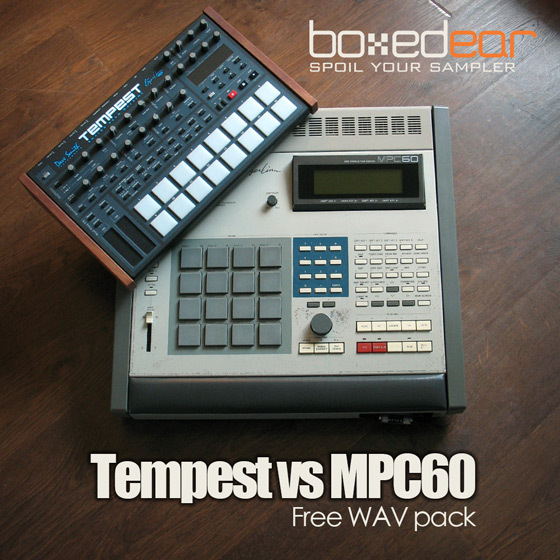 We thought it would be fun to bring them both together by synthesizing pure analog drum sounds on the Tempest and sampling them into the MPC60 for that tasty 12bit digital crunch. The Roland CompuRythm CR-78 was released in 1978. It's a beautiful piece of design with a sound to match. 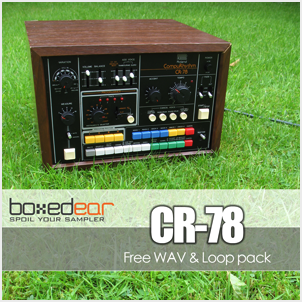 They don't make them like this anymore.The CR-78 became a favourite amongst pop and electronic artists for it's unique sound. Famous songs which use it include Orchestral Manoeuvres in The Dark's "Enola Gay" and Blondie's "Heart of Glass". 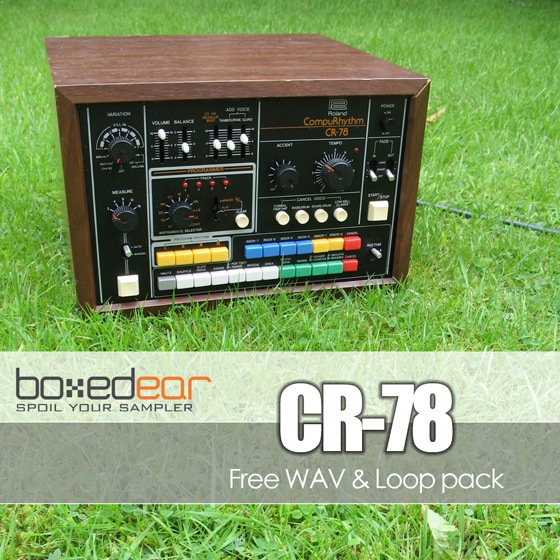 The CR-78 was also one of the first drum machines to offer user programmable sequences alongside the standard Waltz, Shuffle and Samba presets. We decided to sample the CR-78 though a Universal Audio 1176 compressor to give it a little more analog magic.